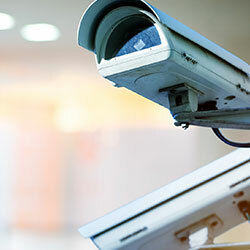 State-of-the-art commercial alarm systems from Brinton Security give your business the cutting edge in security and custom business solutions. Call Now For A Complimentary Commercial Consultation. Safeguard your business, employees, property and assets. We are proud to serve Missouri, Arkansas, Oklahoma, and Kansas. Our aim is to “Protect What Matters!” when it comes to your small business and commercial enterprise. Mobile security management helps you easily arm and disarm your security system, monitor business operations and receive alerts at any time and from anywhere using your web-enabled mobile device. From gate entry systems to phone systems, intercom systems, audio systems and more, Brinton Security is a one stop shop for all of your commercial security and communications requirements. Our UL listed Central Monitoring Station is on duty 24/7, protecting your enterprise from the threats of intrusion, fire and environmental hazards. Brinton Security has your back even when you aren’t there.